VANCOUVER — A blockbuster deal involving the teenage star of the Vancouver Whitecaps is one of the great stories in world soccer, says the league’s commissioner. "Having a kid that’s getting a record transfer fee associated with him being developed in Major League Soccer has the rest of the world looking and saying the league is on the rise, getting the game right and needs to be taken seriously," Garber said in Vancouver Friday, where he spoke with media and toured the Whitecaps training facility. 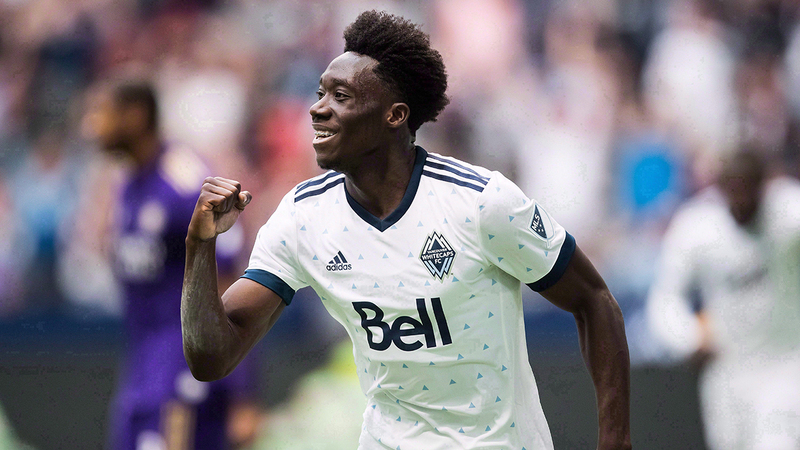 "It says a lot about the (Whitecaps’) ambition, it says a lot about the potential for developing players here in Canada and it says a lot about Alphonso Davies." "He’s just a wonderful young man," Garber said. "I’m really happy for him, pleased for his family and happy for the Whitecaps." "It used to be sort of figuring out how we could be viable," he said. "And now it’s, with all the momentum that we have, how do we make sure we’re making the right decisions?" "People that love the game here should be thinking about what positive impact that’s had on the Canadian national team," Garber said. "So I think the future is bright for soccer in Canada."